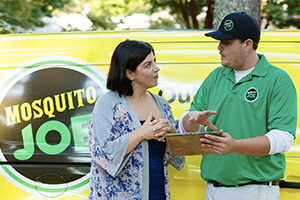 Since 2010, Mosquito Joe has delivered mosquito control and other outdoor pest control services to residential and consumer customers. Our highly trained technicians are mosquito, tick and flea control experts dedicated to one thing: getting rid of outdoor pests so you can enjoy being outside again. Outfitted with the latest gear and backed by the coordination of a top-notch support staff, our technicians in the field get the job done swiftly and thoroughly, leaving a noticeable absence of biting insects in their wake. Like all Neighborly brands, we are locally owned and operated.